Taken into slavery, you are now a gladiator. Your only chance at freedom is to earn enough money in the arena to buy yourself back. Whether in a lowly arena on the outskirts of the Empire or in the Colosseum itself, a wide variety of opponents await: heavily armed charioteers, wild bulls, fellow gladiators and more. In a series of battles, from battle royales to one-on-one duels, you must entertain the crowds by spilling blood. After battles, it's time to train. A series of minigames improves your attributes and your diet perfects your body. Study your rankings, play around with your special skills, and await the next battle. 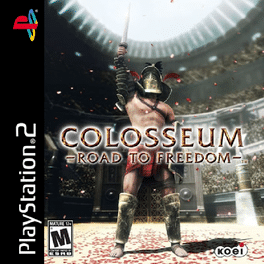 Colosseum: Road to Freedom is a self-described Action RPG, controlled in the third-person and works as a gladiator simulator.